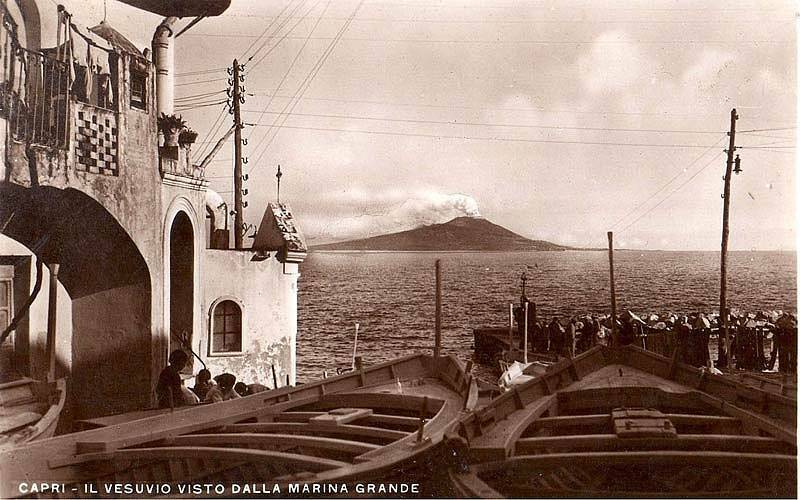 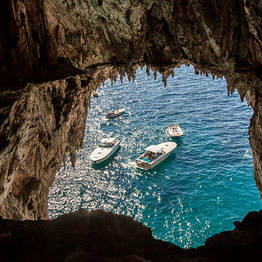 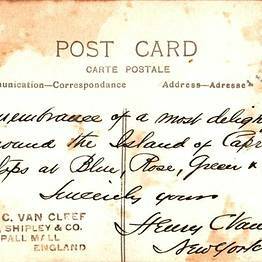 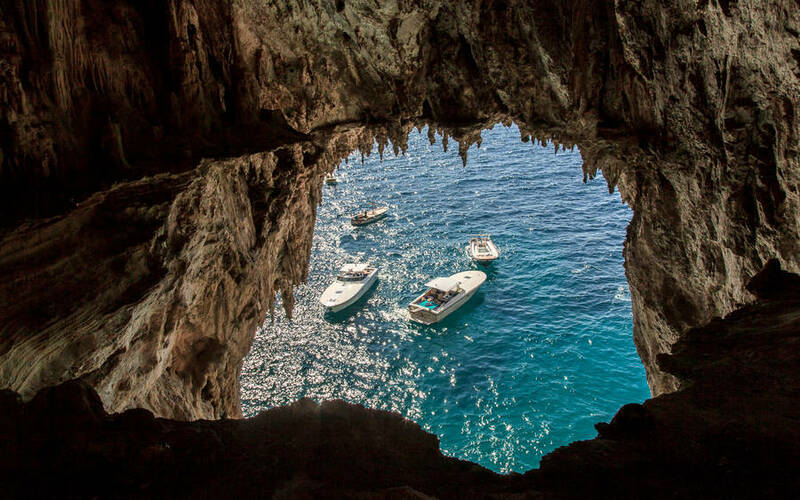 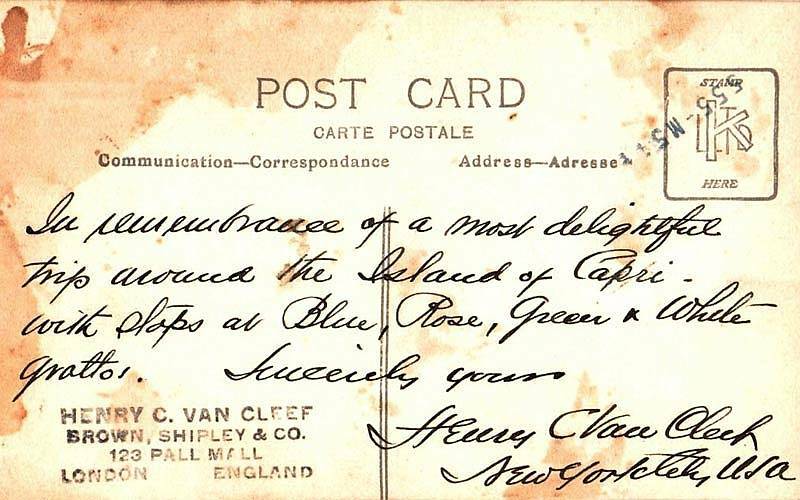 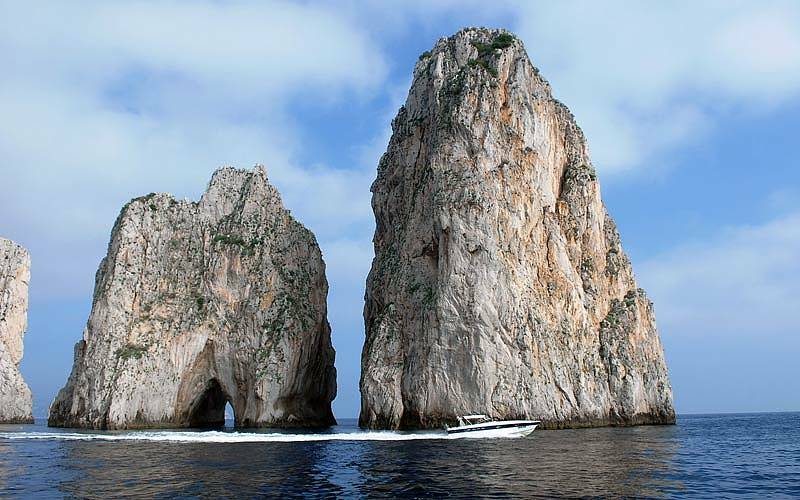 Enjoy your visit to Capri fully by exploring Italy's most beautiful island by sea! 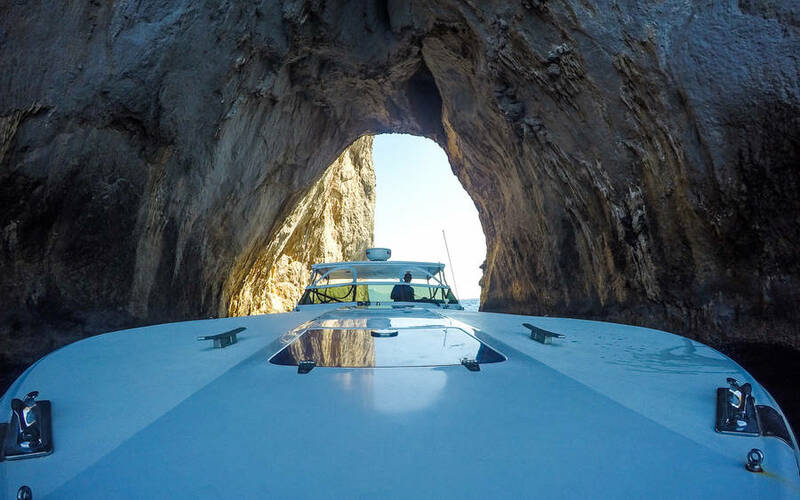 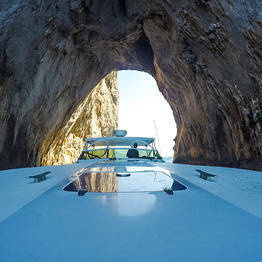 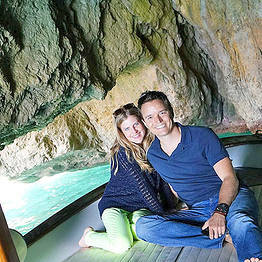 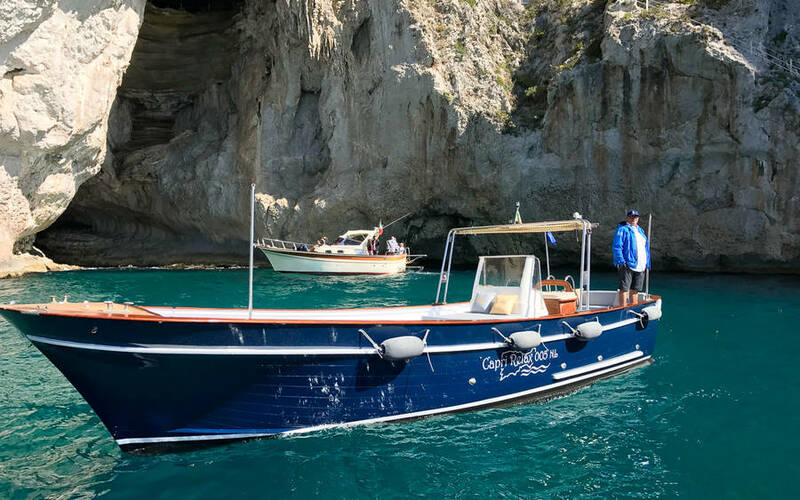 Hop on board one of the Capri Relax Boats and discover the hidden coves, picturesque caves, and very best spots to dive into the crystalline waters for a swim...they can even take you as far as the Amalfi Coast. 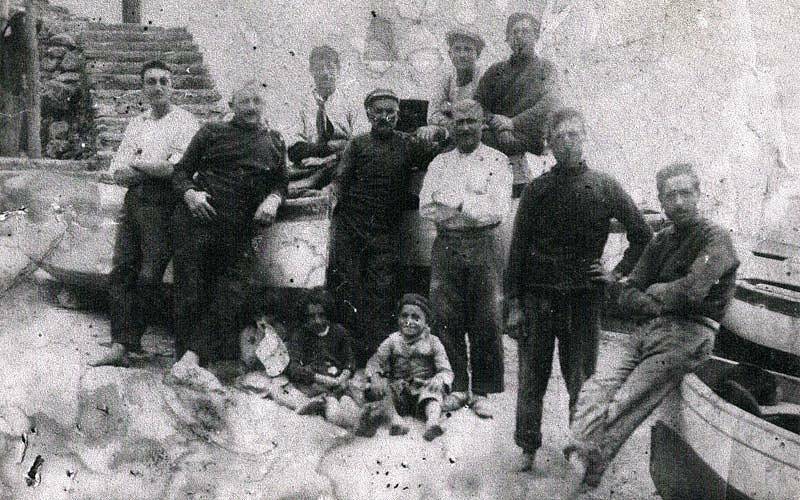 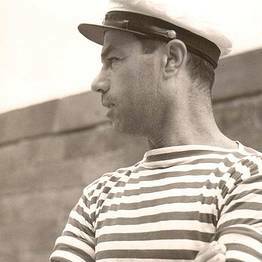 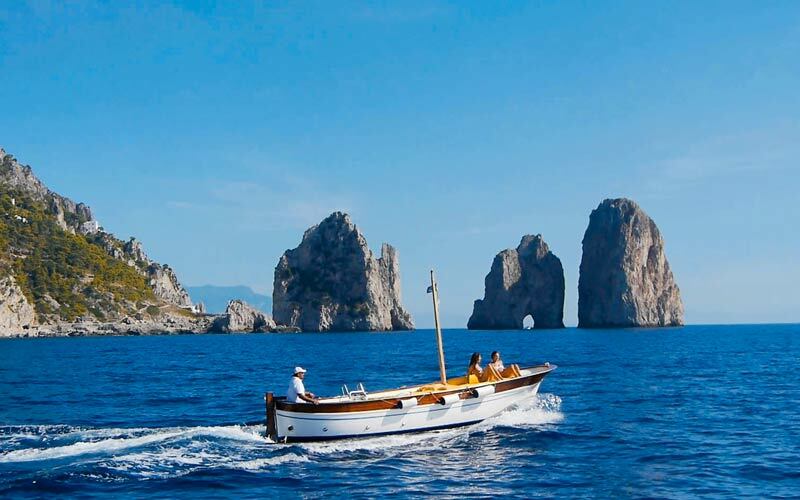 Savor the independence of your own boat and skipper, and sail the southern Italian Mediterranean at your pace! 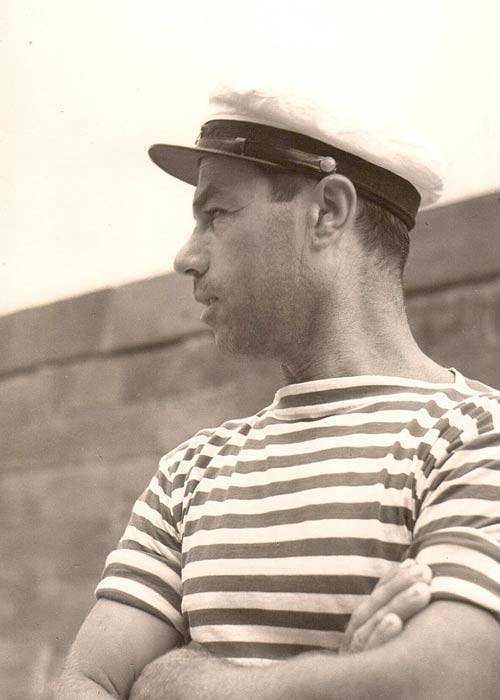 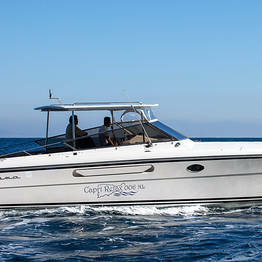 Complete Comfort and Relaxation: Captain's Orders! 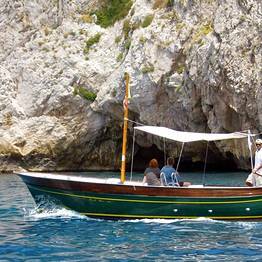 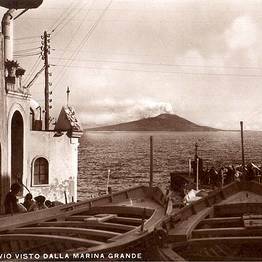 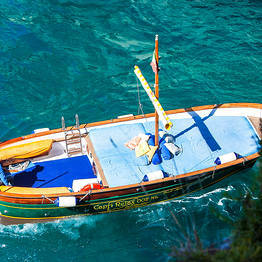 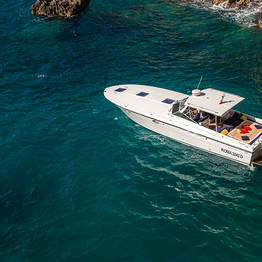 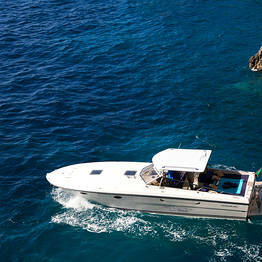 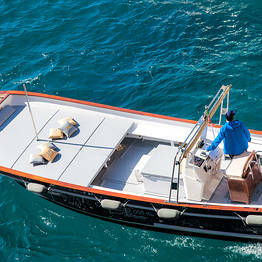 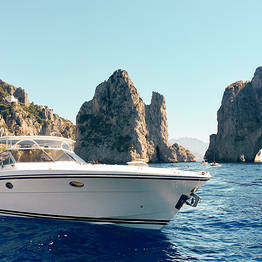 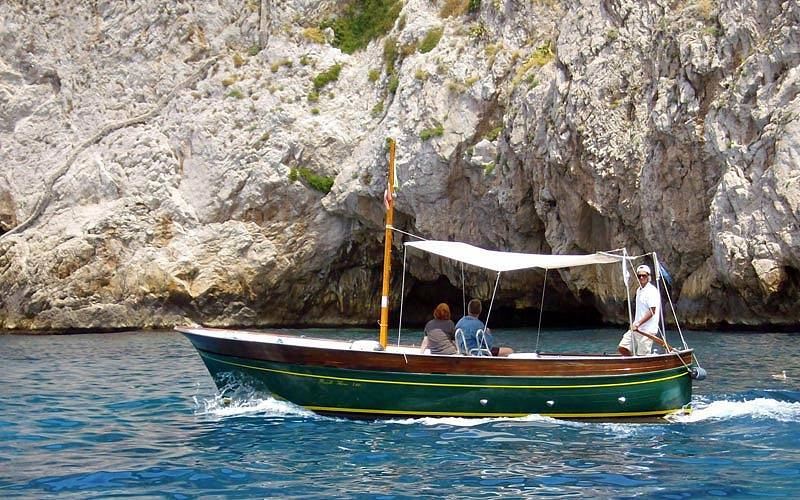 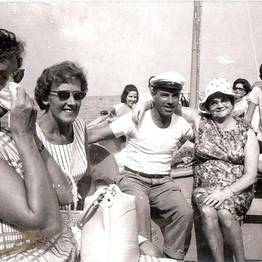 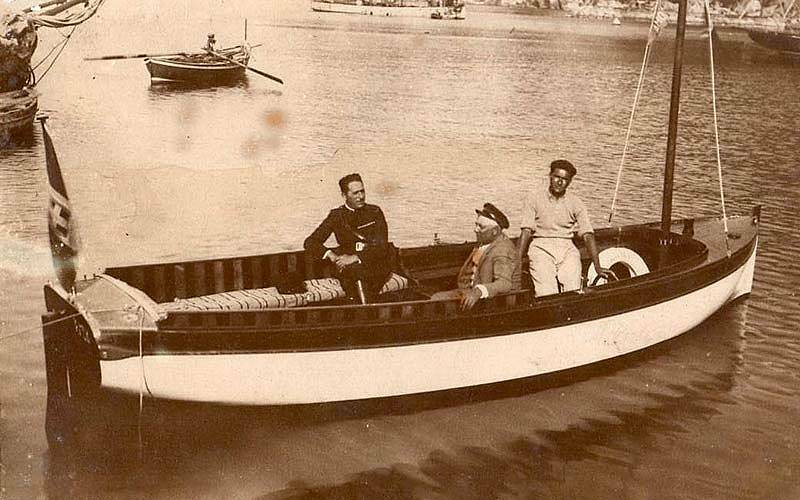 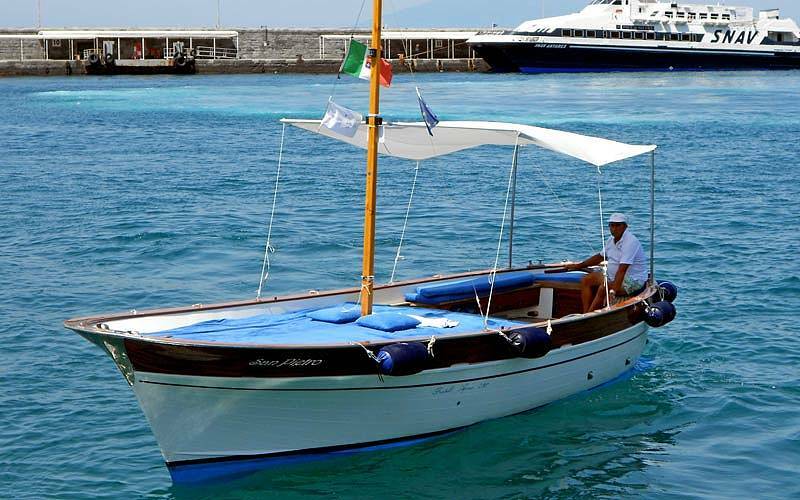 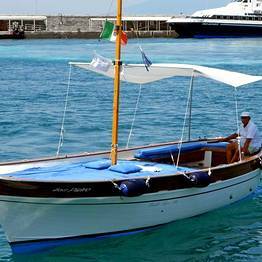 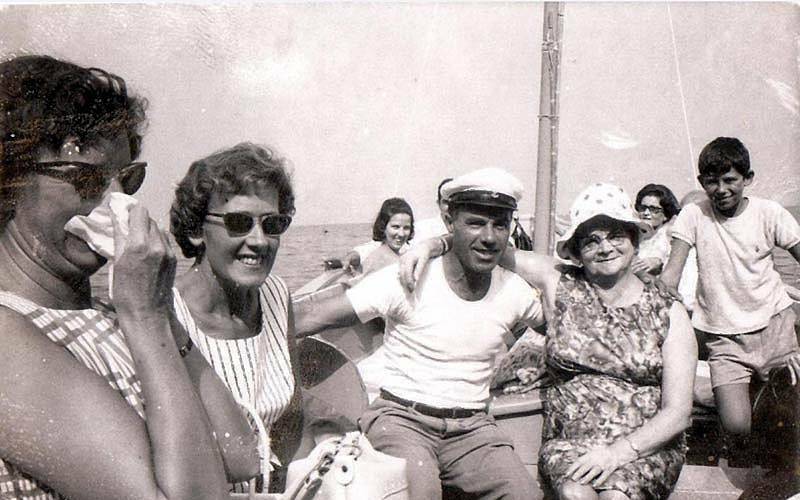 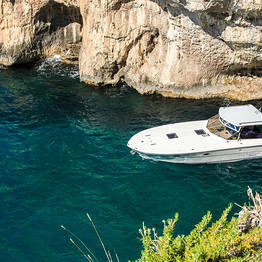 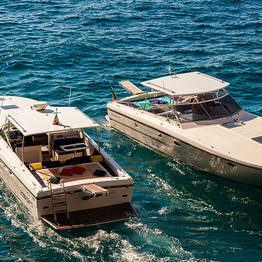 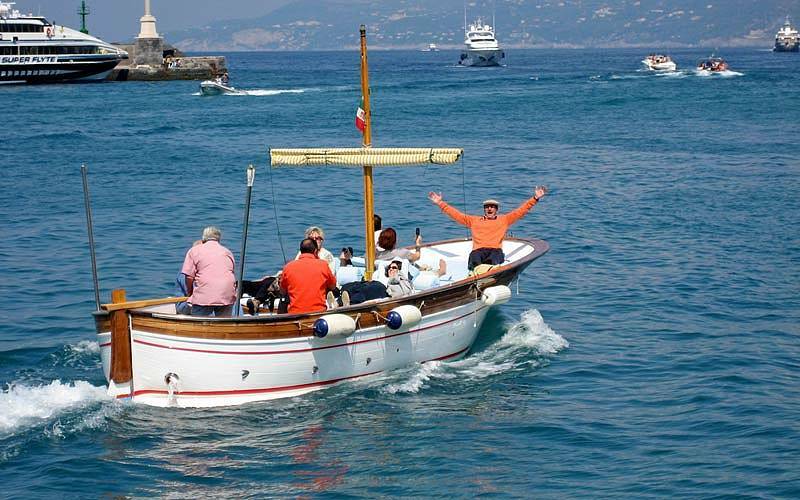 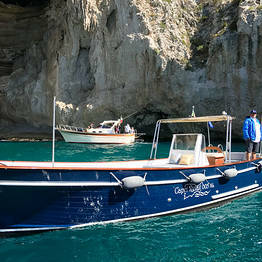 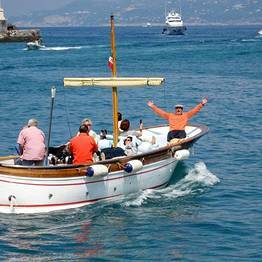 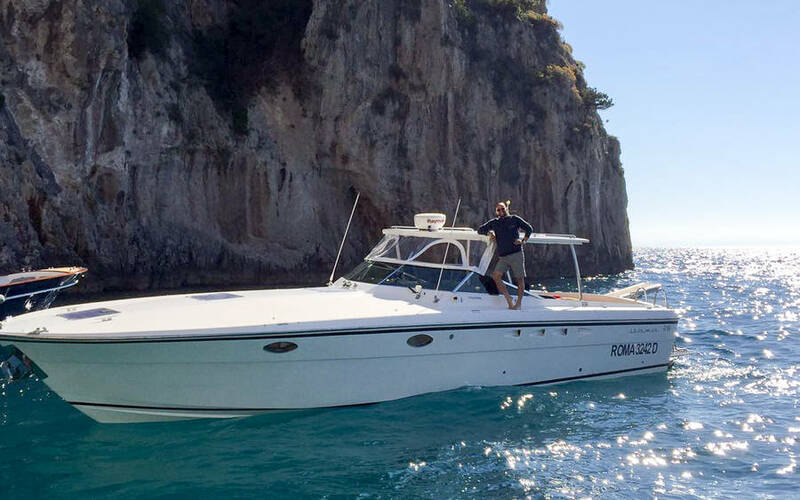 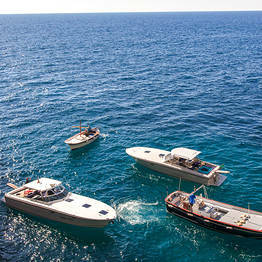 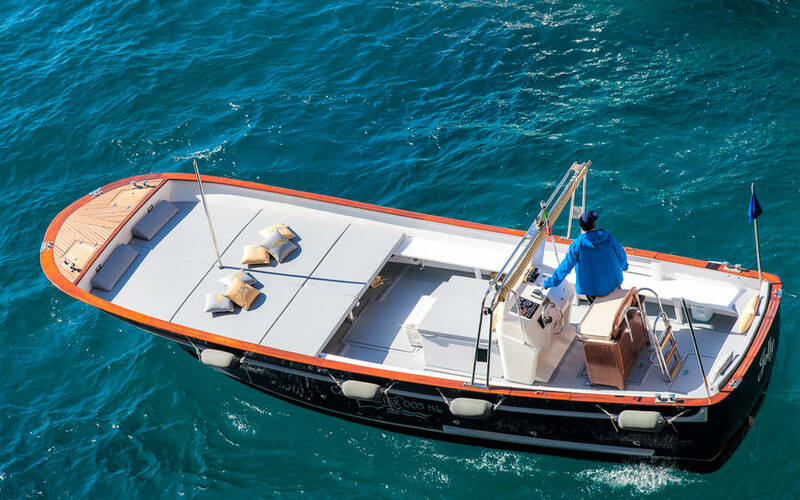 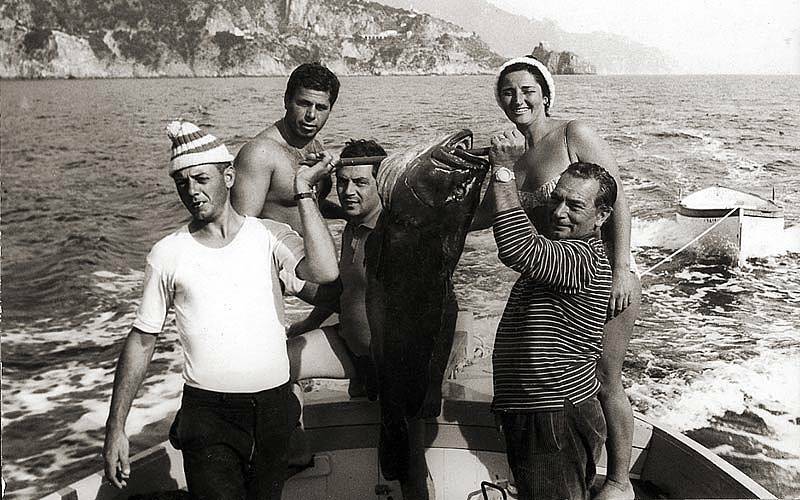 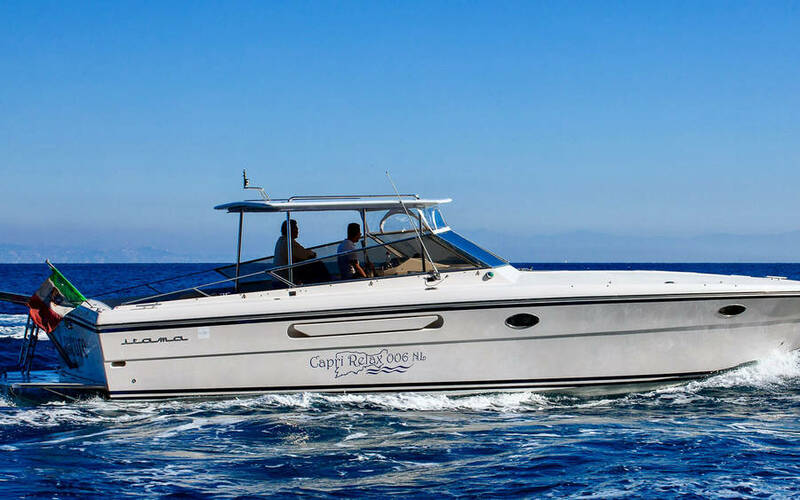 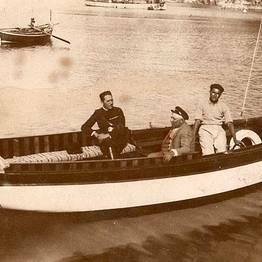 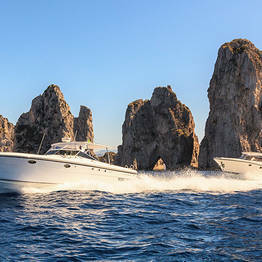 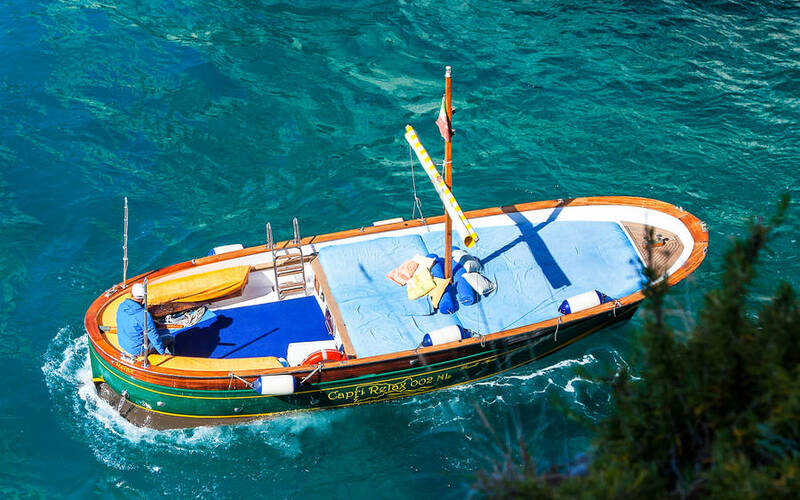 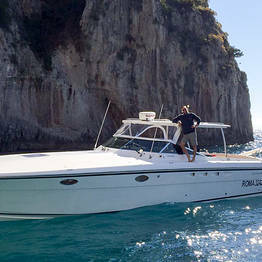 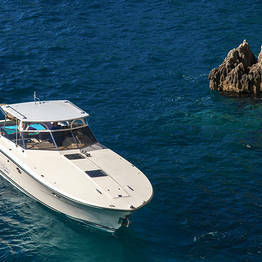 Capri Relax Boats welcomes you aboard their modern wooden "gozzo" boats for a fully-equipped boat tour to Capri. 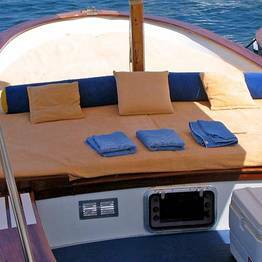 Relax on the ample sun deck, duck under the shade of the awning during the hottest hours of the day, or simply take a dip into the cool sea. 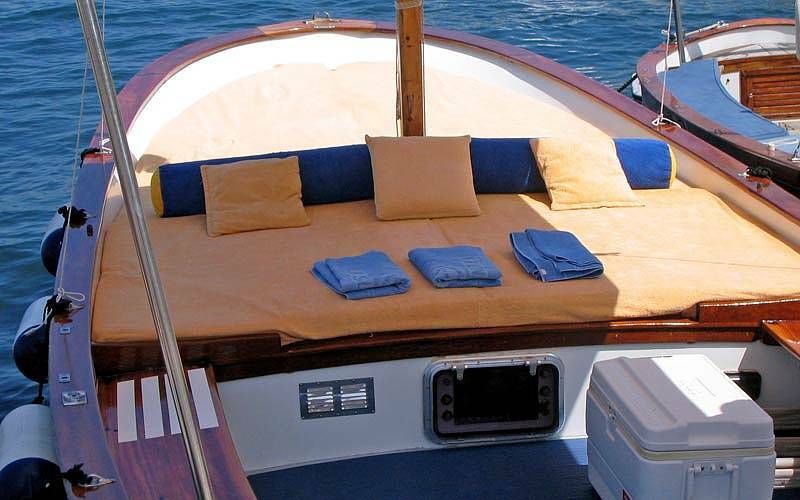 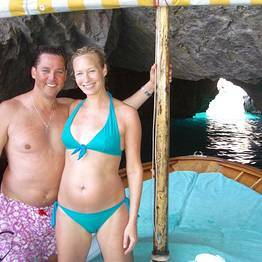 The boats also come with a shower, ice chest, and even snorkeling equipment upon request. 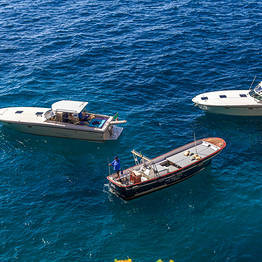 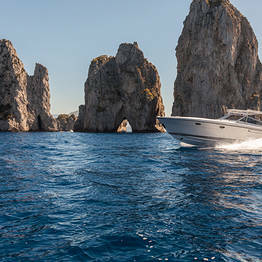 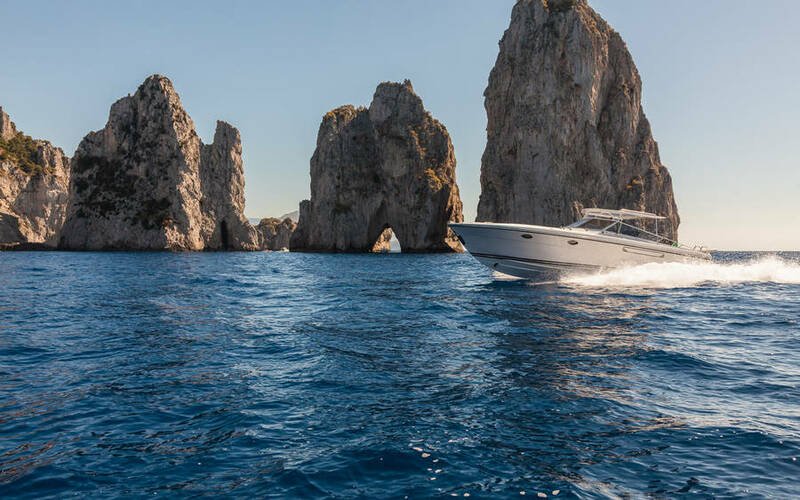 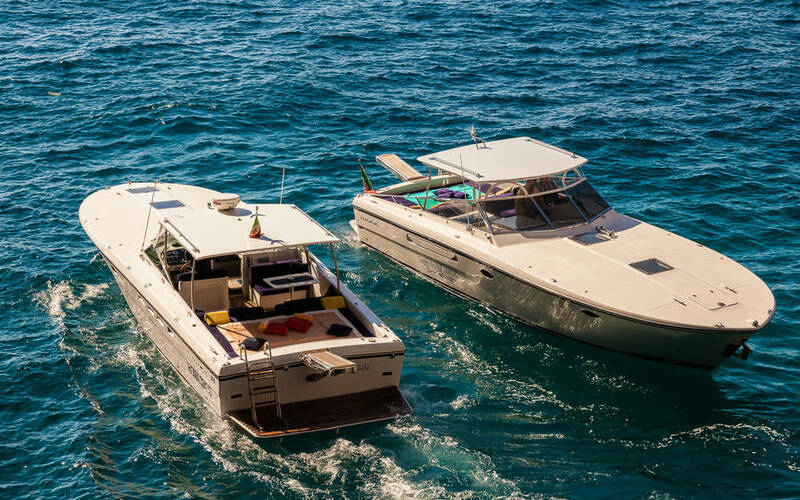 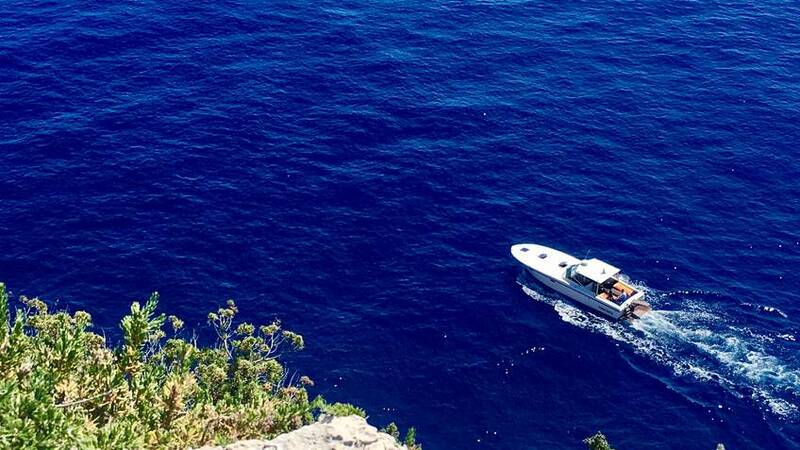 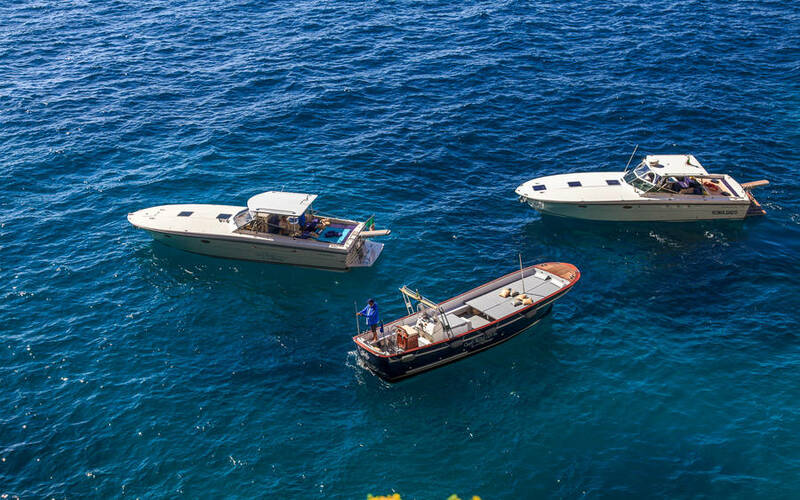 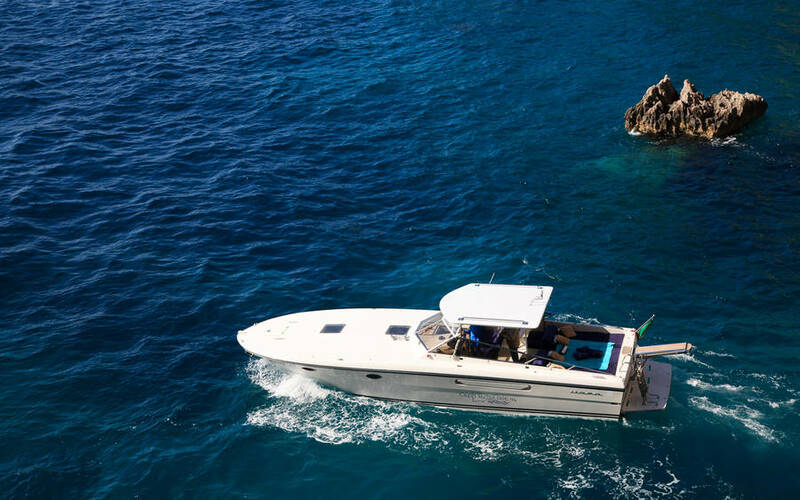 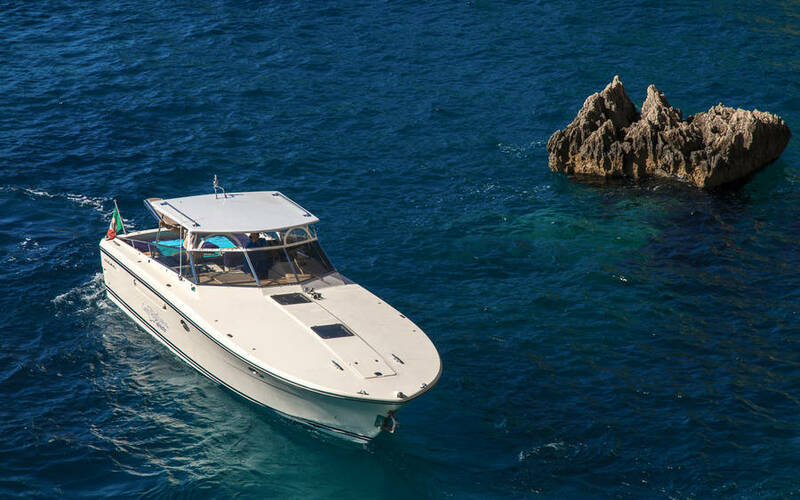 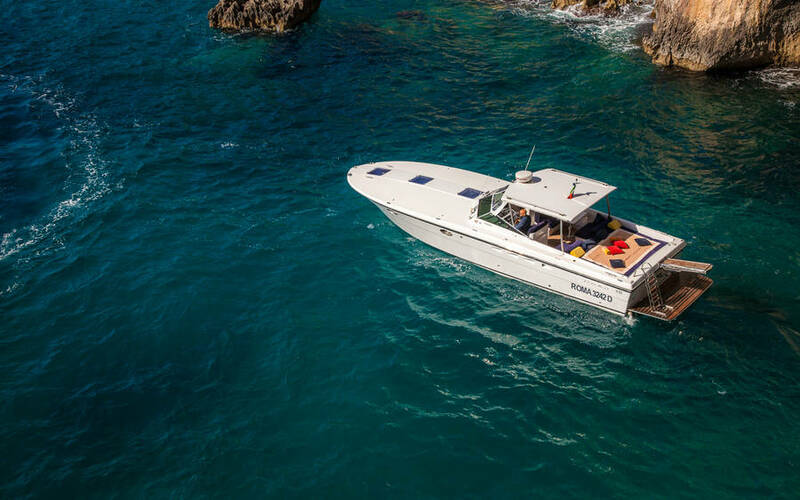 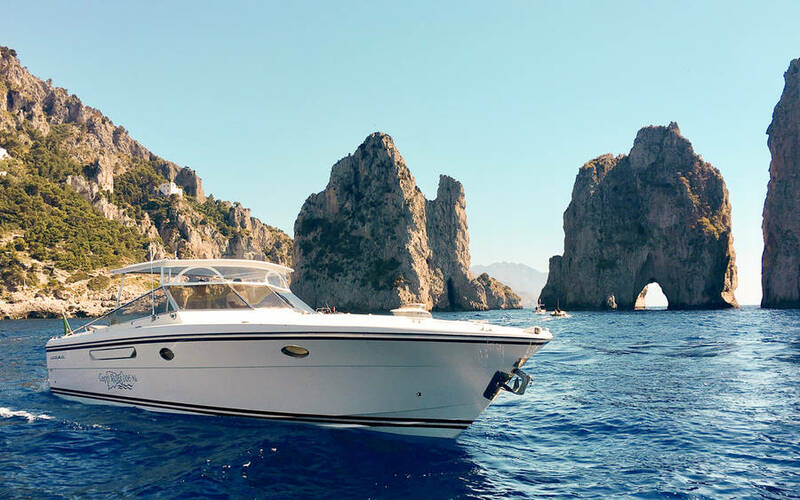 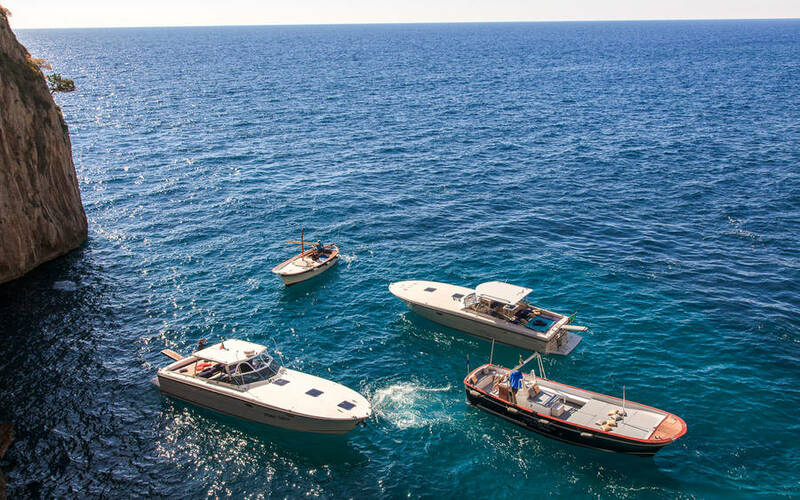 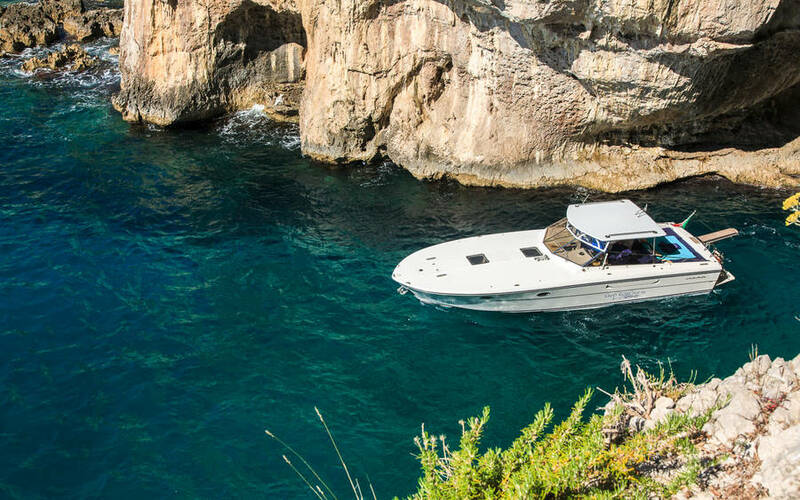 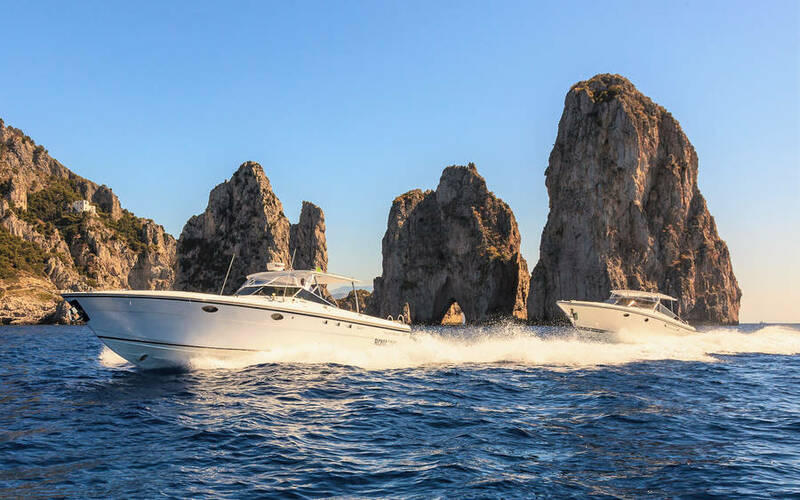 In addition to their traditional island gozzo boats, Capri Relax Boats has speedboats perfect for transfers or tours to the Amalfi Coast and Naples. 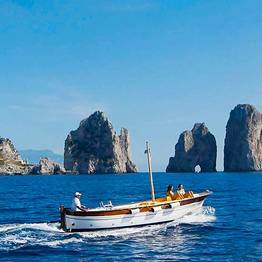 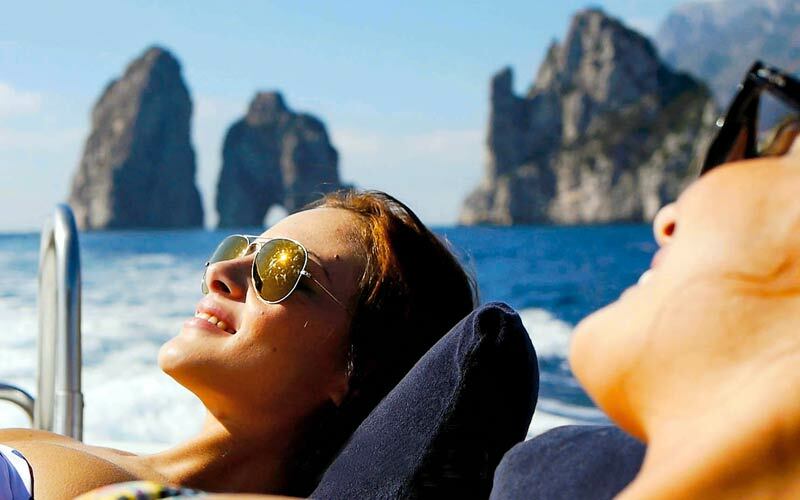 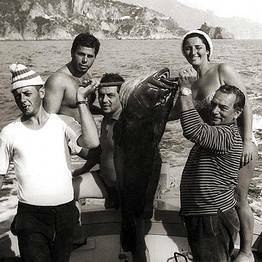 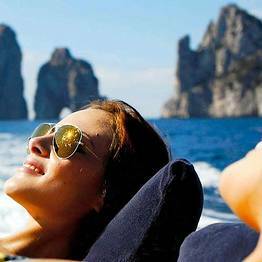 Capri Relax Boats organizes special boat tours that go beyond the classic itinerary around the island of Capri, including romantic sunrise and sunset tours or moonlight sails under the stars to the Bay of Nerano for a quiet dinner for two on the water's edge. 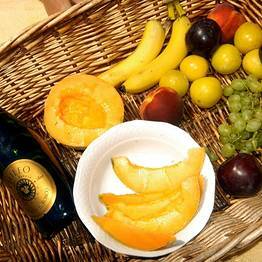 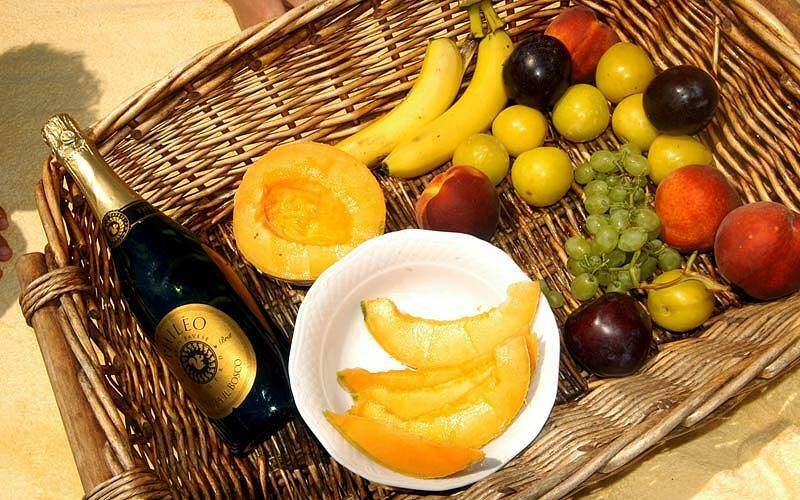 For a fun boat trip with friend, arrange a picnic on board...perfect for hen and stag parties, as well!